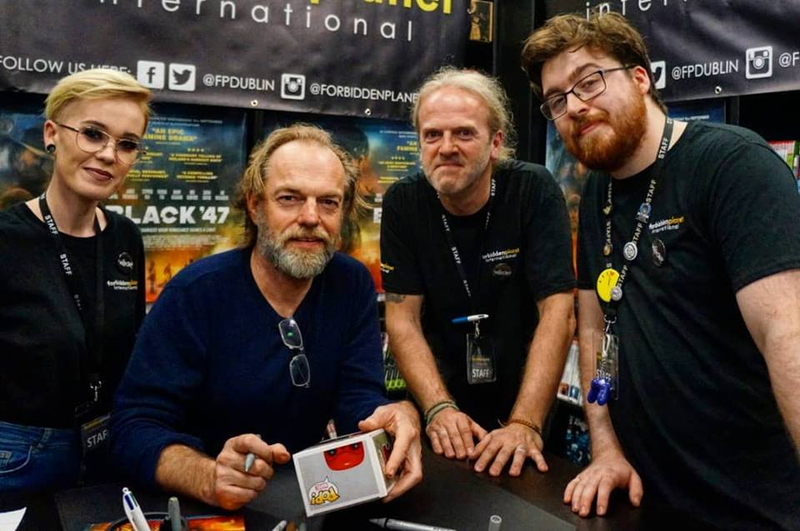 With only (shy of) 24 hours’ notice and some blood, sweat and tears, we managed to successfully host a signing for the wonderful Hugo Weaving! First and foremost, we would like to apologise profusely to all of those who came to meet him and were unfortunately turned away due to time limitations. As you can imagine, Hugo is overwhelmingly busy this weekend, but we were so lucky to have been given the opportunity to have him with us, even for as short as it was. His team were extremely tight for time and we, of course, wanted to respect their wishes. With that said, we strive to deliver the best customer service possible and bring you the greatest of experiences. Hopefully our intentions for today were recognised and we look forward to hopefully having the fortune to be chosen to continue hosting such events. SO! We would like to say a massive THANK YOU to everyone who attended. Thank you for all your kind words, your commitment and most of all, your patience! Without you guys, none of this would have been possible! Massive, MASSIVE thank you to Wildcard Distribution and co. for choosing us for this wonderful event and we look forward to future projects together. 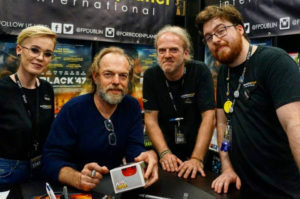 And last but most certainly not least, thank you HUGO WEAVING for being such a gentleman and a fantastic guest! The photos that were taken in store can be viewed HERE! Hoping you all had as much fun as us and we will be seeing you all soon! *FUNKO POP! GIVEAWAY! * Metallic Beerus SDCC 2016!